Visitors cannot stay overnight and must pay a visitor fee on arrival. Visitors must also sign in on the office sign-up sheet. Linen, cooking utensils, dinnerware etc. not included. 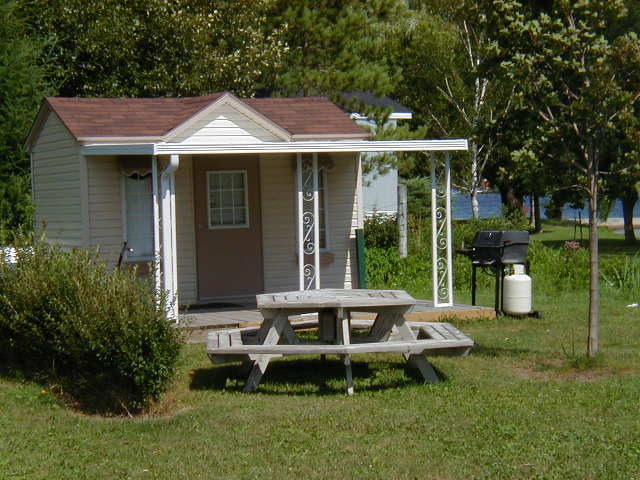 Inclusive with cabin rentals: BBQ, Deck, Fire Ring, Picnic Table, Microwave, Coffee Maker, Bar Size Fridge. Late Arrival Fee: $10 late arrival fee for arrivals after 9 pm. No pets allowed. Your stay will be terminated if pets are found inside the cabin. No smoking allowed in the cabin. Note: There are no toilet facilities in the cabin....a portable toilet is nearby. 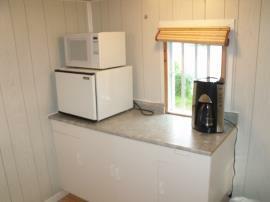 Full washroom and shower facilities are available at the office and recreation hall. 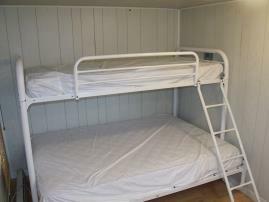 In addition to overnight camping sites, Dreamland Resort can provide accommodation in a camping cabin. We are open from April 25th to October 14th each year. Rates for 2019 are posted below.